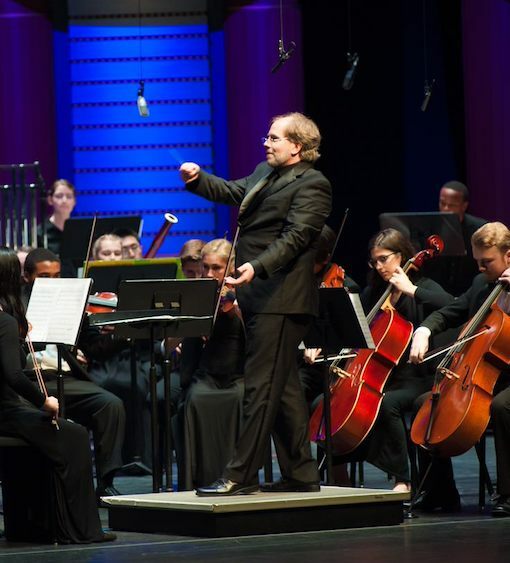 Dr. Kyle Prescott holds an undergraduate degree from the University of Idaho and master of music and doctor of music degrees in conducting from the University of Texas at Austin. He is currently the associate chair and director of bands in the Department of Music at Florida Atlantic University, where he teaches, conducts and manages FAU’s band’s program. Prescott has extensive experience conducting. A strong proponent of music for the next generation, Prescott has conducted nine world premieres in recent years, including works by Arthur Weisberg, Scott McAllister and Libby Larson. Prescott’s research has been published in three separate volumes of the Teaching Music Through Performance in Band series. He is the current music director of South Florida’s professional wind band and Florida Wind Symphony. Prescott joined the YOPBC faculty in 2010.